The fans of the Final Fantasy video game series are some of the most passionate of any fandom on the Internet, as there are still entire forums and websites that are filled with discussions about games that were released over thirty years ago. The Final Fantasy fan community is fond of coming up with fan theories that explain different aspects of each game, especially as the series has left a lot of unanswered questions on the table. 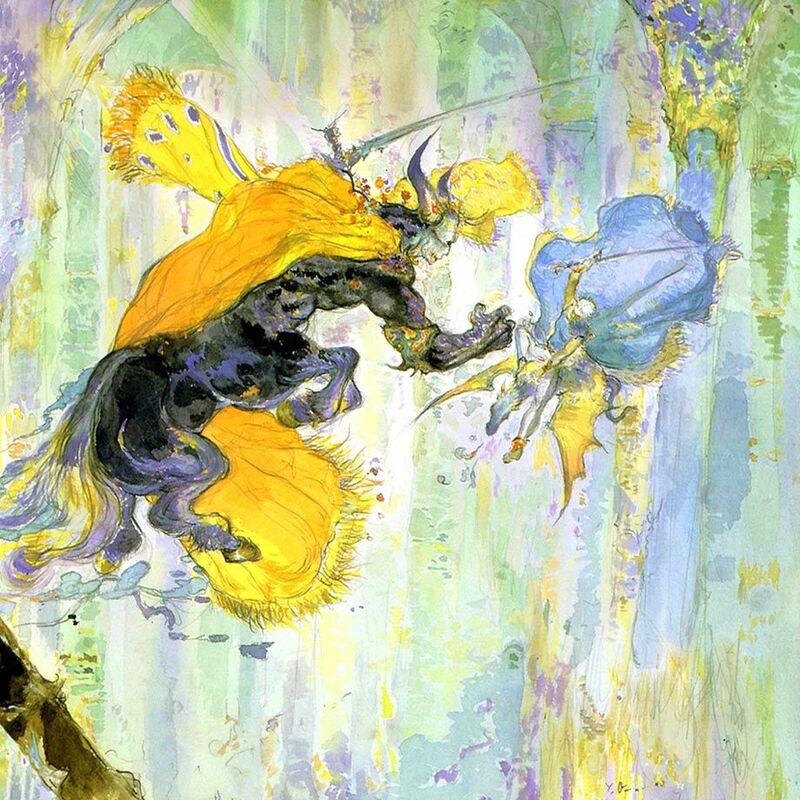 The creators of the different Final Fantasy games have been vocal in interviews about the aspects of each story that had to be cut during development, while the Ultimania guides have shed a lot of light onto the lore of each game that never made it into development, both of which have proved that some of the fan theories were right all along. Not all theories have been given the blessing of the people at Square Enix, which has left some fans waiting for their speculation to be proven as fact. We are here today to find out which Final Fantasy fan theories were proven to be correct and which ones deserve to be canonized - from the truth behind Yuffie's mysterious dialogue, to the theory that links Final Fantasy VII to Final Fantasy III. Here are the 10 Wild Final Fantasy Fan Theories That Were Confirmed (And 10 That Should Be)! There are some unused text strings in Final Fantasy VII that have sparked all kinds of fan theories, as they involve character dialogue in scenes where the character shouldn't be present, the most notable of which is Aerith having dialogue in scenes after she has passed away. Yuffie has unique dialogue during the scene in which the party discovers the Midgar Zolom that has been skewered by Sephiroth, even though she can't be recruited until the party arrives in the Junon region, which led to speculation that she was meant to be recruited earlier. The Final Fantasy VII Ultimania Omega guide confirmed that Yuffie was originally going to be recruited as early as the Kalm flashback, but was pushed back to a later point in the game. One of the most important figures in the history of Ivalice is Saint Ajora Glabados, who is the Jesus Christ figure of the Church of Glabados. The story of Final Fantasy Tactics involves Ramza Beoulve discovering that Saint Ajora was actually the human host for a Lucavi demon named Ultima. The bestiary entry for the Magick Pot enemy in Final Fantasy XII states that Saint Ajora was actually a woman, which goes against the lore of Final Fantasy Tactics where it's stated that he was a man. It's possible that Saint Ajora was actually a woman who was pretending to be a man, or had been retconned into a man by people rewriting scripture. Saint Ajora being a woman would explain why Alma Beoulve was a suitable host for her return and why Altima had a female form. Ramza Beoulve was edited out of the history of Ivalice by the Church of Glabados and the truth of his involvement in the War of the Lions wasn't revealed until centuries later when the Durai Papers were discovered. The last time we see Ramza is during the final battle of the game, where he is trapped in another dimension that proceeds to blow up, with Ramza still inside. Orran glimpses two people who look like Ramza and Alma riding away on chocobos, but he isn't sure if they are the real deal or if he is seeing things. The fans speculated that Ramza did indeed survive the events of the game, despite the predicament we last see him in. The creator of Final Fantasy Tactics confirmed that Ramza survived the events of the game and had adventures outside of Ivalice, which is why he was left out of the history books. Super Mario RPG: Legend of the Seven Stars was developed by Squaresoft for the Super Nintendo, which gave them a chance to squeeze in a strange reference to the Final Fantasy series. There is a secret boss in Super Mario RPG: Legend of the Seven Stars called Culex (who was named Crystaller in Japan) and whose encounter used several songs from the Final Fantasy series. Culex has never appeared in any Final Fantasy game, but the fans have noticed a striking resemblance between Culex and the final forms of Exdeath from Final Fantasy V and Kefka from Final Fantasy VI. Culex has the same purple body and wings as Kefka's final form, while the crystal part of his body resembles the area in which Exdeath is fought in Final Fantasy V, with a body that keeps stretching on in a similar manner to Neo Exdeath. It's a ballsy move for any supervillain's plan to include "being slain at the hands of the hero so you can do down to Hell and beat up the Devil" but that's exactly what Emperor Mateus from Final Fantasy II did. The fact that Emperor Mateus had the ability to summon demons to bolster his army and was so familiar with the afterlife that he was able to usurp the Devil's position led many fans to believe that he was being controlled or helped by the denizens of the underworld all along. The Japan-exclusive novel called Final Fantasy II Muma no Meikyu gave insight into Emperor Mateus' backstory and confirmed that he was being manipulated into invading other countries by the Devil, as the rulers of Palamecia were cursed to draw the attention of demonic forces. Final Fantasy Tactics is notorious for being brutally difficult at the beginning, before becoming way too easy thanks to the addition of some powerful party members with unique jobs. T.G. Cid is the most broken character in the game, due to having access to almost every special sword ability and starting out with amazing gear, while his adopted son, Orran, joins you for a guest battle where he uses the mighty Galaxy Stop power to easily defeat your foes. The fact that the story of Final Fantasy Tactics comes from Orran's version of events (as he wrote the Durai Papers) has led some fans to believe that he was exaggerating the prowess of his family members in battle as if he were writing fanfiction about himself and his father. When Red XIII is introduced in Final Fantasy VII, he is a captive of the Shinra Corporation who has lost the sight in his right eye and has had the roman numeral for the number XIII tattooed on his leg. Red XIII also made an appearance in the Japan-exclusive mobile game Before Crisis -Final Fantasy VII- where you play as the Turks who have to capture him. Red XIII's right eye was fine in Before Crisis, which lead fans to believe that it was damaged by Hojo during one of his experiments. The Final Fantasy VII 10th Anniversary Ultimania confirmed that Hojo was responsible for Red XIII losing the sight in his right eye, which is why Red XIII wants to "settle the score" between them. Final Fantasy VII opens up with Aerith witnessing drops of Mako coming out of a pipe. The ending of Final Fantasy VII (not counting the flash-forward) shows brief flashes of every character... followed by one of Aerith, who is surrounded by green dots of light from the Lifestream. The bookend nature of the two images of Aerith has led some fans to believe that she is actually witnessing the events of the game during the intro cutscene but does not become fully aware of their meaning until the Temple of the Ancients, at which point she starts to act strangely. The theory states that Aerith knew that her demise was necessary, as a Cetra needed to be in the Lifestream to cause it to rise up and aid Holy against Meteor in order to save the world from destruction. The fans of Final Fantasy VI have discovered all kinds of interesting things hidden in the code of the game, such as the cut secret boss called CzarDragon and a giant boss that was intended to be fought during Sabin's scenario. There is a much weaker version of Umaro that is hidden in the files of Final Fantasy VI, which suggested to some fans that he was originally meant to be encountered in the World of Balance instead of the World of Ruin. An interview with the Final Fantasy VI staff that was translated by Shmuplations confirmed that Umaro was originally meant to be recruited in the World of Balance in a similar manner to Gau, which would have involved meeting him in a random encounter and giving him bait, but the idea was dropped during development. There are numerous iterations of characters named Biggs and Wedge who have appeared throughout the Final Fantasy series, where they have usually taken the form of lackeys or soldiers. The original English translation of Final Fantasy VI screwed up the name for Biggs and called him Vicks instead. Chrono Trigger also had two characters named Biggs and Wedge, with the same Biggs and Vicks localization switch. There is a fan theory that states that the Biggs and Wedge from Final Fantasy VI were blasted into another reality by Valigarmanda and were sent to the world of Chrono Trigger, where they were hired by Norstein Bekkler to be part of the circus. Squall Leonhart is tasked with leading a SeeD taskforce on a dangerous mission to try and assassinate the Sorceress Edea at a public event. It was at this event that Edea assassinated Vinzer Deling by putting her hand through his body. The assembled crowd continues to cheer during this assault, with no one panicking or seeming shocked by the horrific crime that was just committed before them. The fans had speculated that Edea (or rather, Ultimecia) was using her power as a sorceress to control the minds of the crowd, with only the members of SeeD being strong enough to resist her. The Final Fantasy VIII Ultimania guide confirmed that Edea was indeed using her magic to control the crowd and preventing them from turning on her. Gogo is one of the most mysterious characters in Final Fantasy VI and the fact that his face is covered at all times has led to numerous fan theories over his true identity, with everyone from Banon to Emperor Gestahl being suggested as the man behind the mask. One prominent theory was that Gogo was Daryl, but this was shut down by Yoshinori Kitase. It's possible that the Gogo from Final Fantasy VI is the same as the Gogo from Final Fantasy V, as they share the same appearance and powers. The Gogo from Final Fantasy V banishes himself at the end of the battle, which means that he may have accidentally sent himself to the world of Final Fantasy VI, in a similar manner to how Gilgamesh travels between the different Final Fantasy worlds. Kuja was responsible for the destruction of several kingdoms in Final Fantasy IX, as well as destroying the entire world of Terra with the aid of Trance-powered Ultima spells. The wanton decimation of so many lives doesn't seem to faze Kuja at all. Indeed, he is far more terrified at the thought of his own mortality than taking the lives of others. Kuja's total lack of empathy was speculated to be a result of him being created as an adult, rather than having lived through a childhood like Zidane had, as he never had the chance to develop or understand his emotions. The Final Fantasy IX Ultimania guide confirmed that the differences in the emotional growth between Kuja and Zidane were a result of the former being created as an adult. The scientists who worked for the Shinra Corporation were tasked with creating a human/Cetra hybrid or failing that, a human that possessed the powers of a Cetra. Angeal Harvey, Genesis Rhapsodos, and Sephiroth were all infused with Jenova cells while still in the womb, as the people at Shinra thought that Jenova was a Cetra. The woman who gave birth to Angeal was Gillian Harvey and his father was her unnamed husband... or so we are led to believe. The Crisis Core Final Fantasy VII Ultimania guide suggested that Angeal's father is actually Hollander, without stating it as a direct fact. The fanbase has since latched on to the idea of Hollander and Gillian having an affair, with Angeal being the product of their relationship. The Ultima spell debuted in Final Fantasy II, where Minwu sacrificed his life in order for the party to acquire the book that contains Ultima. Ultima would have been the best spell in the game, except for a glitch that causes it to deal a paltry amount of damage. The fact that Ultima was so bad led some fans to believe that it was meant to be a dud due to its age, with magic having progressed over the years in terms of power. Hironobu Sakaguchi confirmed that Ultima being bad was a result of a programmer refusing to fix a bug, as they felt that Ultima should have been outdated and the whole quest being a letdown was meant to be the kind of thing that would happen in real life. The last airship that is used in Final Fantasy VIII is a vessel called the Ragnarok, which was one of three highly advanced ships that were created by the nation of Esthar. The Ragnarok is the last surviving ship and it was used to move Adel's Tomb into outer space, where it is later discovered by Squall and Rinoa. The Info Corner in Final Fantasy VIII claims that the design of the Ragnarok was based on the legend of something called the Dragon Ship. The fans have speculated that the Dragon Ship in question is actually the Eden Guardian Force, which resembles a futuristic version of the other Gardens in the game. The fact that Eden can be found in the Deep Sea Research Center adds credence to this theory. Seymour Guado has access to a powerful summon known as Anima, which is later revealed to be the spirit of his mother, who willingly became a fayth to aid him. There is a brief flashback sequence that shows the child version of Seymour in Zanarkand, which left a lot of fans perplexed as to why a mother would offer her young boy up to be destroyed in the fight against Sin. One theory that fans liked was the idea that Seymour's mother had a terminal illness and wanted to become a fayth in order to protect her son from beyond. The Final Fantasy X Ultimania Omega guide confirmed the theory and added the detail that Seymour's mother wanted him to perish in the fight against Sin so that he would finally earn acceptance. The Final Fantasy series is known for having incredibly bizarre designs for its final bosses, most notably with Zeromus from Final Fantasy IV and Safer Sephiroth from Final Fantasy VII. The concept art for Exdeath in Final Fantasy V shows him with a centaur-like design, which was scrapped in the retail version of the game. When Exdeath transforms into Neo Exdeath, he takes on the bizarre form seen in the image above, but have you noticed something about the shape? The fin-like appendages on the front of Neo Exdeath and the overall shape of the backside of his body are similar to that of an outline for a horse. It's possible that the developers of Final Fantasy V thought that Neo Exdeath's design was too boring, so they threw a bunch of monsters and scantily clad ladies onto it to make it more interesting. Final Fantasy XV started out as a game called Final Fantasy Versus XIII, which had a lot of differences to the final version of the game. We saw more of the Kingdom of Lucis in the trailers for Final Fantasy Versus, which included the population dressing in black and statues of the Grim Reaper being used as decorations. The fans had speculated that the citizens of Lucis were worshipers of both the Grim Reaper and the concept of the afterlife, which was confirmed after the release of Final Fantasy XV by Hajime Tabata, who said that these elements were toned down due to censorship reasons. Hajime Tabata's comments about censorship are almost certainly related to the Chinese version of the game, as you can't show exposed bones and skeletons in media meant for the Chinese market. Jenova is an important part of the backstory of Final Fantasy VII, yet we know almost nothing about her motivations, as she was defeated long before the story began and doesn't even speak until before she is destroyed. The fans have speculated that we have already seen the origin of Jenova and that she was originally the Cloud of Darkness from Final Fantasy III. There are visual similarities between Jenova and the Cloud of Darkness, with the two battle forms used by both being women with tentacles coming from their body and their lower abdomen being attached to a large bulbous ball of flesh. The theory states that the Cloud of Darkness wasn't actually defeated by the Warriors of Light, but was instead cast into space, where she survived by destroying other worlds, before meeting her match and being defeated by the Cetra. The visual differences between Jenova and the Cloud of Darkness can be explained by the fact that Jenova's body was decayed and mummified in the centuries that passed between her defeat and rediscovery by Shinra scientists. It has been confirmed that VII and X take place in the same universe, which means that it's possible that III also takes place in the same universe. Do you know of any other Final Fantasy fan theories? Let us know in the comments!